A new article draws attention to an Indian Traditionalist who has until now not attracted much attention internationally, Awadh Kishore Saran (1922-2003), pictured, an academic sociologist. He taught at Lucknow University and Jodhpur University, and was a Senior Fellow at the Indian Council of Social Science Research. In 1962 he joined Pitrim Sorokin, Henri Lefebvre and Ernest Gellner in a round-table discussion of sociological theory at a conference in Washington, DC. The article, R.K. Misra, "Between Tradition and Modernity: Some Reflections on Professor A.K. Saran’s Intellectual Sojourn," Dialogue Quarterly 17, no. 4 (April 2016), pp. 18-26, is available online. It explains that Saran read Ananda K. Coomaraswamy as a young man, and then René Guénon, Frithjof Schuon, and Marco Pallis. He became well known in certain circles as a critic of modernity. The book considered his best is Traditional Thought: Toward an Axiomatic Approach: A Book on Reminders (Varanasi: Central Institute of Higher Tibetan Studies, 1996). Heiser's book is a thorough account of Dugin's life and thought. It stresses how important Traditionalism is for Dugin. The other authors (apart from Evola) are all from the European New Right, with only one American, Hood, who comes last on the list, in tenth position. Dugin in the US remains associated more with the European New Right than with the American Alt-Right, it seems. Faye is the second most important writer in the French New Right after Alain de Benoist, differing from Benoist especially in his view of Islam, which he sees as a major threat to European civilisation. Archeofuturism is one of his most important books. Sunić is a former Yugoslav dissident, now a Croatian, also identified with the French New Right. Friberg is notable because he is not French but Swedish, and comes from a new generation (he was born in 1978). He is a widely read New Right author, and shares Faye's understanding of Islam as enemy. Hood is also from a new generation (born 1980); he is an American White Nationalist and Alt-Right figure. In 1999, Seyyed Hossein Nasr published a book of verse, Poems of the Way. One of these poems, in Persian, addresses Frithjof Schuon. It is available in translation, with a transliteration of the Persian, on the website of the Muslim Women's Coalition. Schuon is addressed as "my Shaykh, my ‘Isa" (shaykh-e man o ‘isá-ye man), as he was Nasr's shaykh, and his Muslim name was ‘Isa Nur al-Din. My thanks to Neon Knight for bringing the poem and website to my attention. Four new articles on Julius Evola have come to my attention. Details and abstracts are given below. Why one of the abstracts is in German, even though the article itself is in English, I do not know. Happy reading! Elisabetta Cassina Wolff, "Evola's interpretation of fascism and moral responsibility," Patterns of Prejudice 50 (2016), pp. 478-494. The ideological influence that several right-wing radical thinkers exercised on the Norwegian ‘lone wolf’ terrorist Anders Behring Breivik raises the question of how far a writer can be held responsible for acts of terrorism s/he may have influenced. Italian history provides a vital lesson in this respect: namely, the role played by the Italian traditionalist Julius Evola in the crucial passage from Fascism to neo-fascism. After reviewing Evola’s ideological development, Wolff then analyses Evola’s influence on a young generation of neo-fascists in Italy. Another relevant topic is the ideological continuity between Fascism and neo-fascism identified here, as centred on Evola’s view of ‘general fascism’ as the Traditional right. Elisabetta Cassina Wolff, "Apolitìa and Tradition in Julius Evola as Reaction to Nihilism," European Review 22 (2014), pp. 258-273. This article deals with the figure of Julius Evola, philosopher and well-known freelance political commentator both during and after Italy’s Fascist dictatorship. My analysis of his intellectual production and political role in the 1930s, 1940s and 1950s is a case study that focuses on both continuity and discontinuity of ideological issues in the crucial historical period between the Fascist regime and the establishment of neo-fascism in postwar Italy. Special attention will be paid to unchanging elements in Evola’s philosophy, such as criticism of modern society, rejection of faith in progress, reference to traditional values as reaction to nihilism and belief in the existence of a spiritual hierarchy. A central issue is the ideological influence that Evola exercised on a young generation of neofascists in Italy after the Second World War, based on the intention of offering them new rules of conduct in a post-nihilist world. It is exactly this phenomenon that enables us to put in question the declared apolitìa of Evola. Hans Thomas Hakl, "Julius Evola and the UR Group," Aries 12 (2012), pp. 53-90. Die Gruppe von UR, die von 1927–1929 bestand, wurde im Wesentlichen vom italienischen Mathematiker, Neu-Pythagoreer und Hochgradfreimaurer Arturo Reghini sowie von Julius Evola begründet, der damals bereits seine dadaistische und philosophische Periode beendet und sich intensiv mit fernöstlicher Spiritualität beschäftigt hatte. Auf Grund ihres umfangreichen Lehrmaterials und wegen der hoch qualifizierten Mitglieder (darunter Altphilologen, der Begründer der Freudschen Psychoanalyse in Italien, Literaten, erfahrene Mitglieder anderer magischer Gruppierungen sowie die Spitze der Anthroposophie in Italien) muss die Gruppe von UR zu den interessantesten magischen Bünden des 20. Jahrhunderts gerechnet werden. UR veröffentlichte zur Zeit ihres Bestehens regelmäßig Monatshefte, die insgesamt auf über eintausendzweihundert Seiten konzentriertes praktisches Material aus allen Epochen und Weltgegenden vorlegte. Das Ziel der Gruppe war nicht Mystik oder schöngeistige Philosophie, sondern einen tatsächlicher Zugang zu transzendenten Bereichen aufzuzeigen. Dazu wurde ein nachvollziehbarer Stufenweg vorgezeichnet und in möglichst klaren Worten erläutert. Praktische Texte aus der Alchimie, dem Tantrismus, Buddhismus, der antiken Theurgie und der Sexualmagie wurden zusätzlich beigezogen. Der Stufenweg sollte zu einer echten Gottwerdung (nicht Gottähnlichkeit) führen nach dem Satz Meister Eckharts: "Soll ich Gott unmittelbar erkennen, so muss ich schlechthin Er und Er muss ich werden." Die Möglichkeit dazu bot der Aufbau eines unzerstörbaren "Diamantkörpers", der auch den physischen Tod überstehen sollte. Die Gruppe von UR war in zwei Fraktionen aufgeteilt. Die eine, die praktisch verwertbare Texte übersetzte und kommentierte und eine zweite innere, die diesen Weg praktisch verfolgte und die dabei gemachten Einzel- und Gruppenerfahrungen in unmissverständlicher Sprache beschrieb. Liviu Bordaş. "The difficult encounter in Rome. Mircea Eliade’s post-war relation with Julius Evola – new letters and data," International Journal on Humanistic Ideology 2 (2011), pp. 125-158. Our knowledge of the post-war relationship between Eliade (1907-1986) and Evola (1898-1974) was based mainly on fifteen letters of Evola, and on two recollections from Eliade’s journal and memoirs. The article presents and discusses new data supplied by eight inedited letters of Evola and four entries from Eliade’s unpublished journal. This data is corroborated with Evola’s reviews of Eliade’s books, with the reciprocal quotations in their works, as well as with various mentions from their correspondence with other persons. The new information helps to draw a clearer picture of their epistolary relation, re-established in September 1949, of their two encounters in Rome (May 1952 and April 1955), as well as of the successive moments of fracture between them (1955 and 1964). It also brings into discussion topics such as yoga, esotericism, racism or fascism, which provide seed for further inquiry. 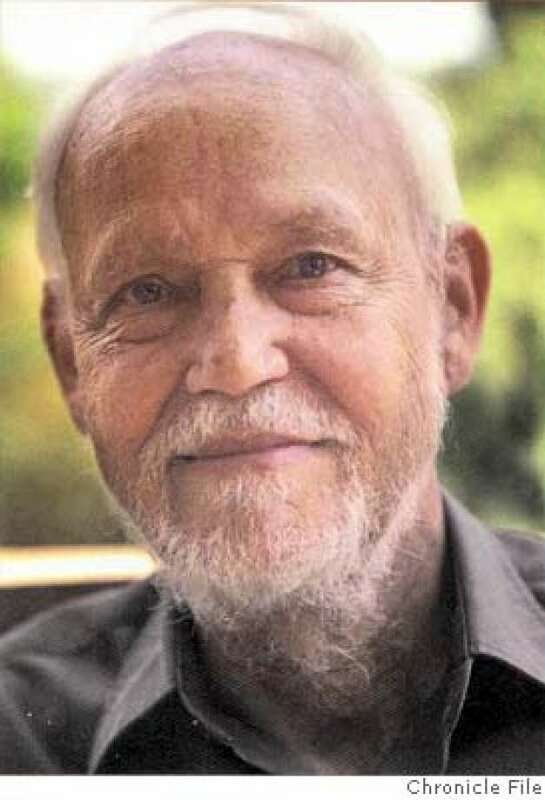 Huston Smith, America's best-known "soft" Traditionalist, died on December 30, 2016 in Berkeley, California, aged 97. Smith was born to American Methodist missionary parents in Soochow (now Suzhou), China in 1919. He moved to America for his education, studying at Central Methodist University and the University of Chicago, and then pursued a distinguished career as one of America's leading scholars of religion. His last post was at Syracuse University. He published many books, of which the most successful was The Religions of Man (1958), reissued in 1991 as The World's Religions. This became very well known in the USA, selling more than three million copies, but remained little known in the UK. Smith encountered Frithjof Schuon late in his career, in 1974. "He looked every inch a figure of mystery and romance," wrote Smith, "He wore flowing robes, and upon entering his presence, you kissed the ring on his finger.... The Romantic poets (Shelley, even Yeats) had fantasized about a fraternity of hidden adepts who practiced in secret throughout the world. Schuon headed such a secret order of Sufi adepts." Smith joined it, later attending his first dhikr in Tehran. He wrote of this in Tales of Wonder: Adventures Chasing the Divine, an Autobiography, excerpted in The Huston Smith Reader. Smith continued to pray the five prayers and to fast Ramadan (though he later gave this up "because it caused too much havoc in my household"), but he also continued much of his earlier religious practice. It seems that the Maryamiyya provided access to Islam, and that Islam provided one part of his religious life, just as Schuon and Traditionalism provided one part of his religious understanding. The strongest Traditionalist influences in his later work are to be found in Forgotten Truth (1976) and Beyond the Postmodern Mind (1982).